Okay, I’ve been reading way too many trashy books, because I had a giggle after writing that title. What I REALLY meant was it’s time to take a long, hard look at my collection of UFOs, and make a plan to finish at least some of them. 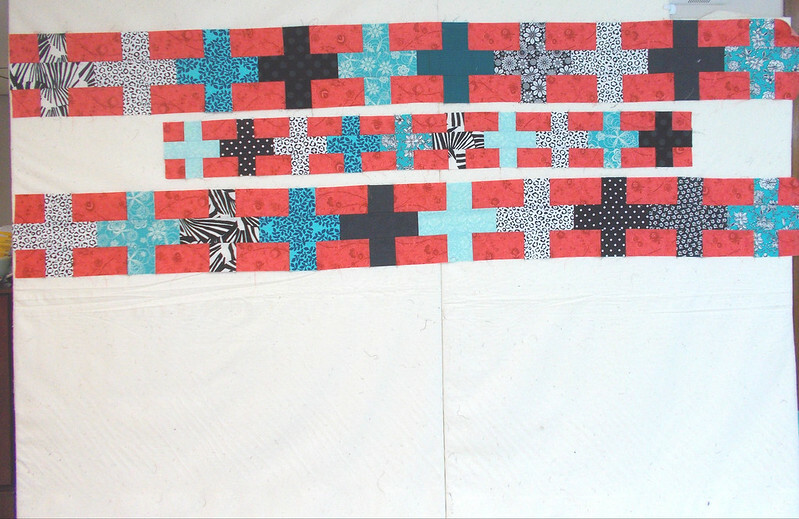 I’ve been quilting for about 15 years, on and off, and I have a tendency to start projects and then abandon them when I get interested in a new project. My UFOs range from finished tops that just need a back and quilting, to completed blocks that need to be sewn into a top, to partially finished blocks waiting for me to do something with them. The original plan was to show all of my partial projects on this post, but there are so many, I’m going to break it into multiple posts. 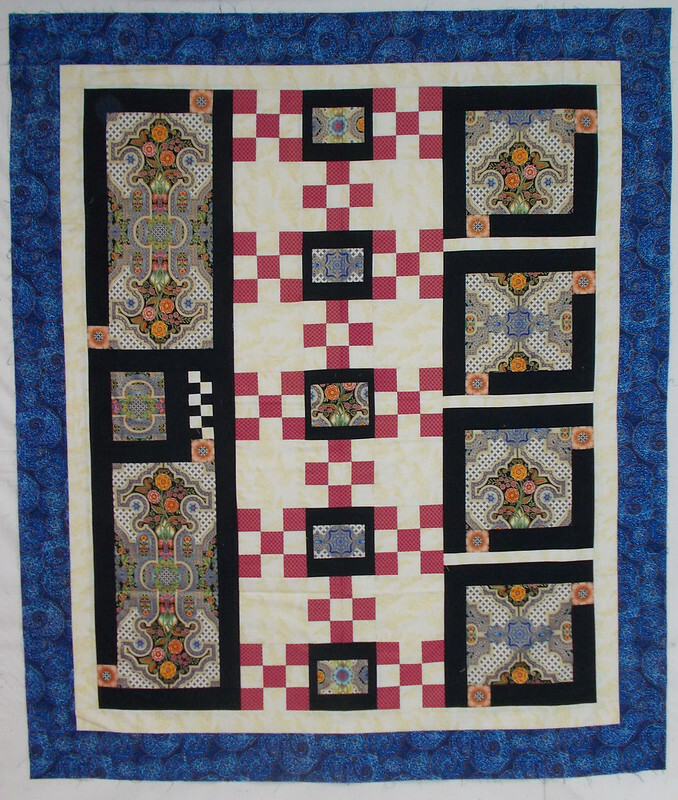 Let’s start with the “To Be Quilted” group. Forgive the crappy photos – I’m in a basement. And I’m not a photographer. Plus Size is the next quilt to go on my bed. 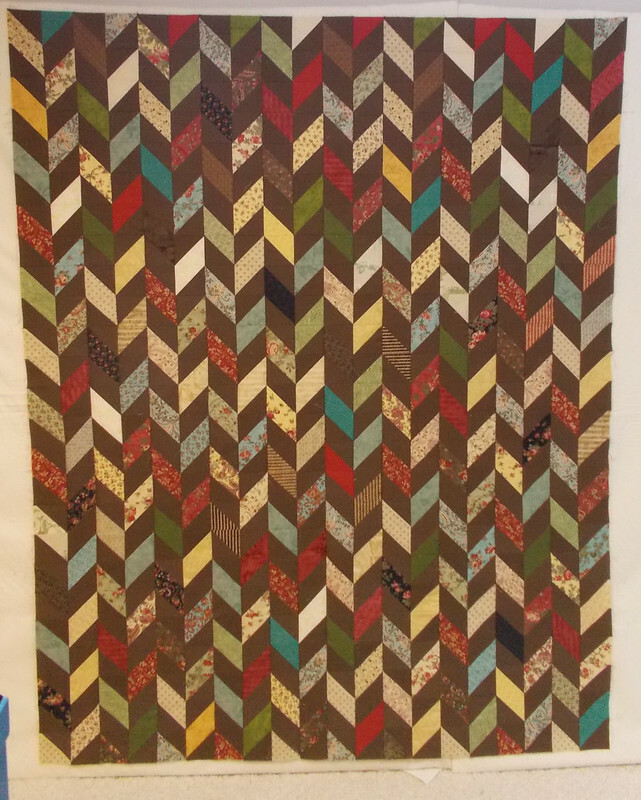 I just need to finish piecing the back and quilt it. It’s quite large. Here’s the back so far. The rest will be red. My newest finished top, it’s made entirely of half square triangles that were sitting in a tote for a few years. This was a “git ‘er done” project. Why I didn’t pull out one of the projects that were further along, I can’t tell you. 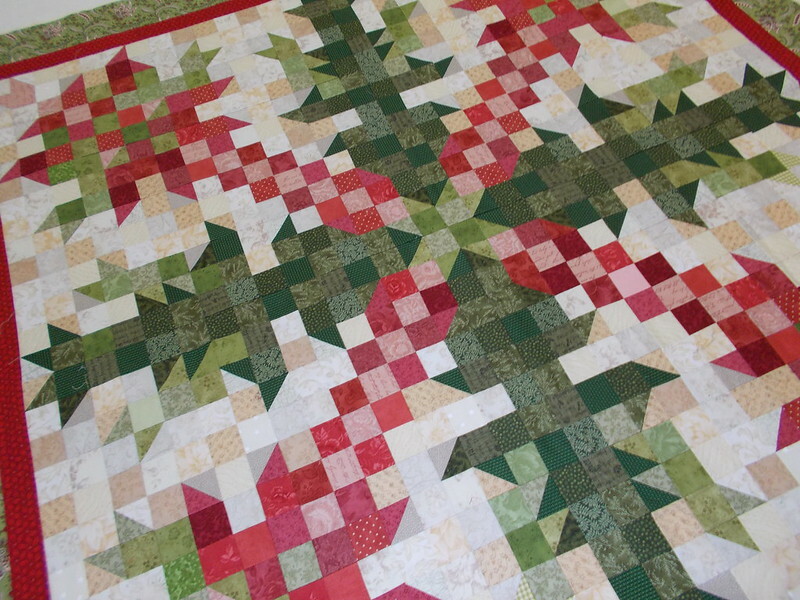 I love this Christmas Cactus quilt. 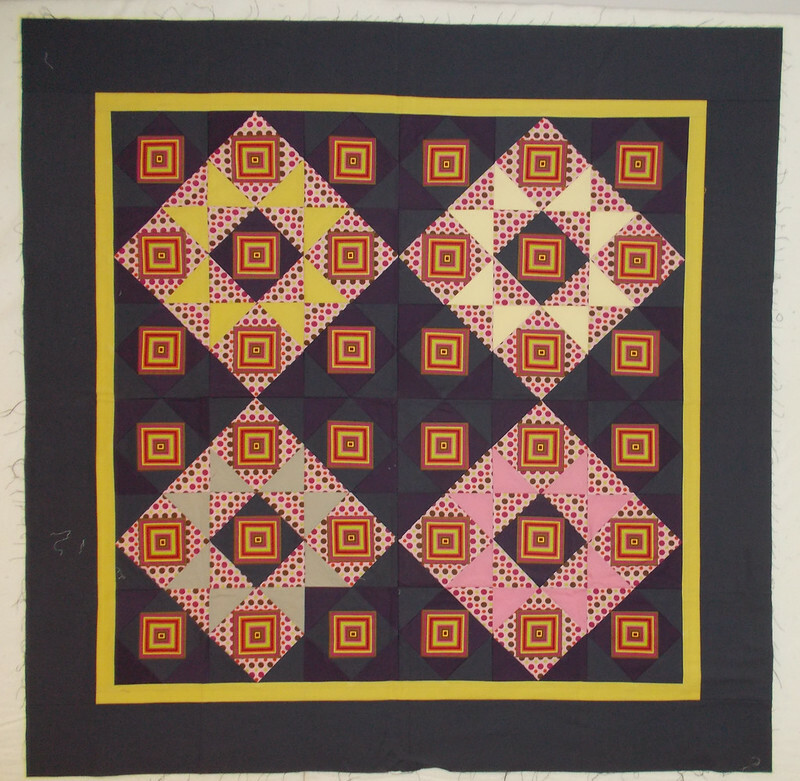 I designed it and wrote the pattern, then shared it as a quilt along several years ago. 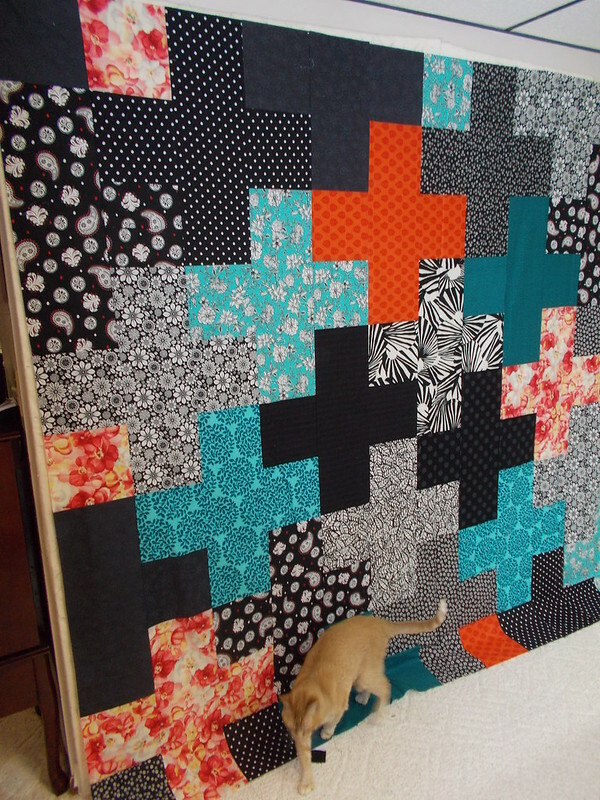 I did it in the medium size, 54″ square, with 1 1/2″ finished squares. Here’s another angle, because I love it so much. The pattern is available in my Etsy shop. Honey Bun Diamonds was made with a 1 1/2″ precut roll of fabric plus the yellow solid and the border. I don’t think Moda offers Honey Buns anymore. This lap quilt was made so I could test a pattern I was writing up for someone else. They created the pattern and gave me their notes, I turned it into a printable, legible, logical pattern. I made the quilt to make sure it all worked the way the notes read. It’s made to feature a focus fabric. 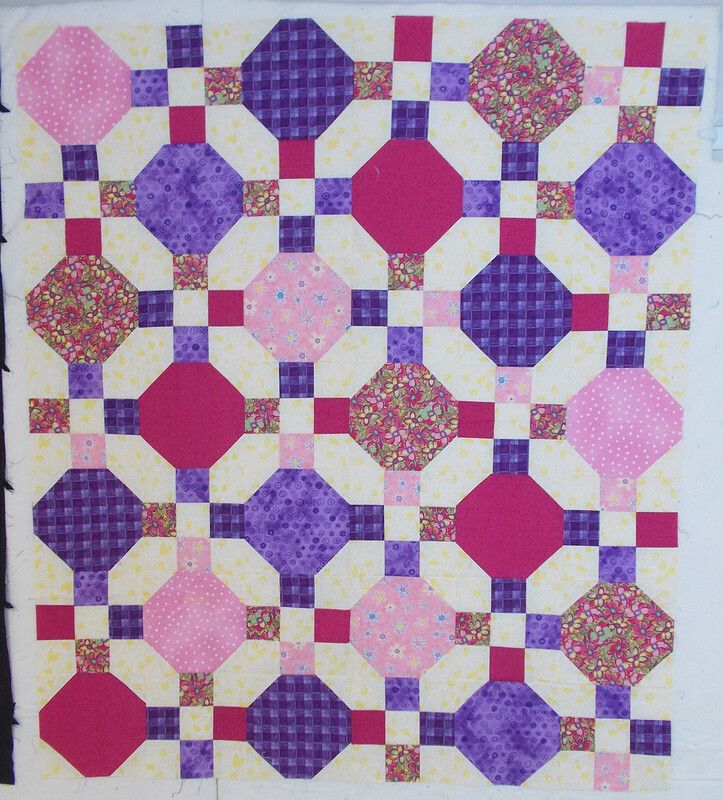 This is a baby quilt for a girl who’s nearly a teenager. And the next one is an I Spy quilt for her brother. I’m hanging my head in shame. While I am not fond of the print fabrics (which were the “challenge”), I love that I pieced the background fabric in the block design. Don’t look too close, though – I chopped some points. That’s it for today. Watch for at least a couple more posts of my Unfinished Fabric Objects. Long hard look! HAHAHAHAHAHAHAHA!!! You started my day off with a giggle, too. 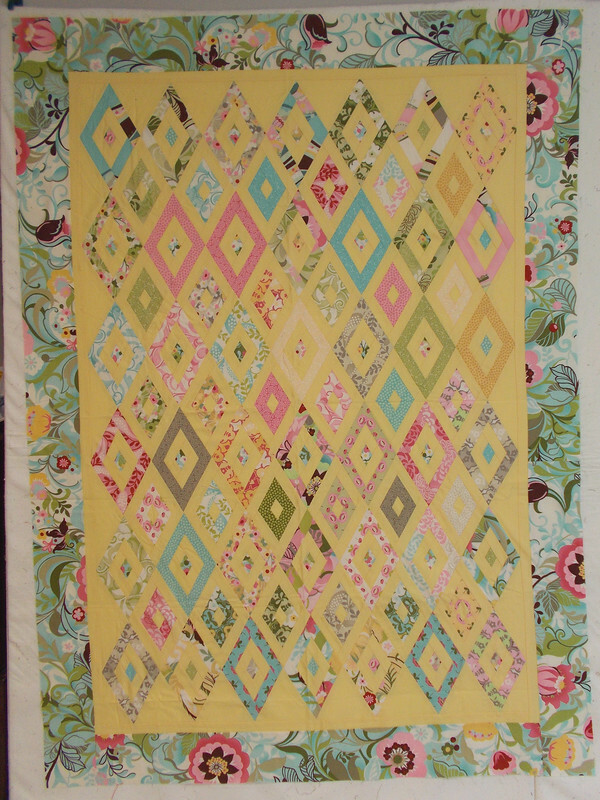 Love love love (times a million) the cactus quilt. 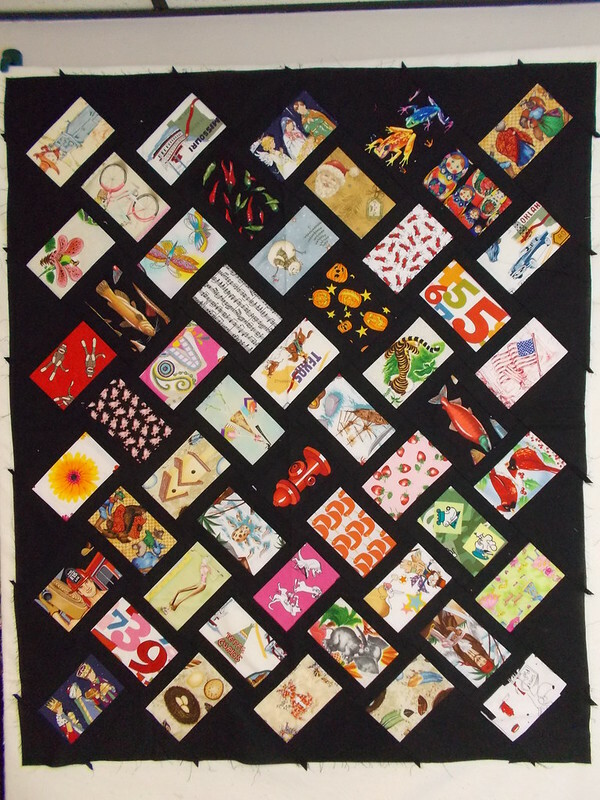 My second favorite is the ISpy quilt. I’ll buy it from you! PS- glad your back- I like your writing style. 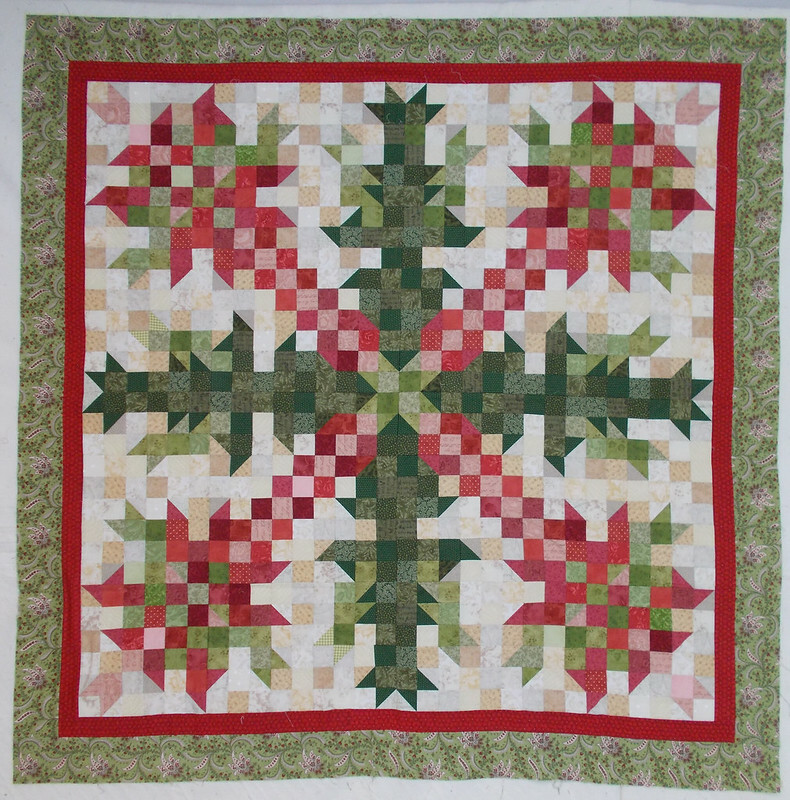 Where can I find the pattern for your Christmas Cactus Quilts? It is so amazing and beautiful! 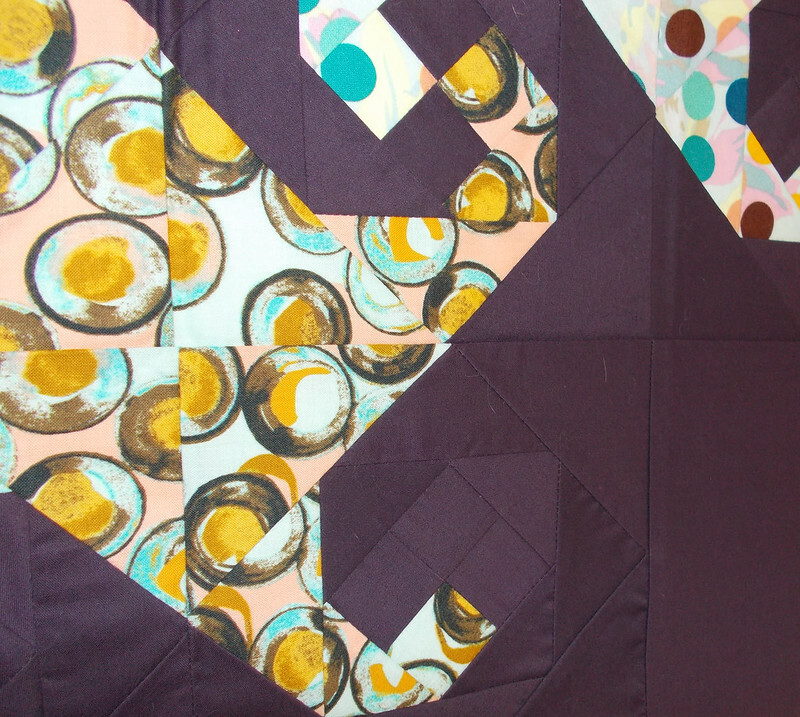 I love that design for an I Spy quilt. It would be so much faster that the hexagon pattern I use. It also lets you see more of the pictures in the fabrics. My grands played I Spy with the butterfly quilt made by my mother-in-law when she was a teenager. It hangs on a large wall in our living room. 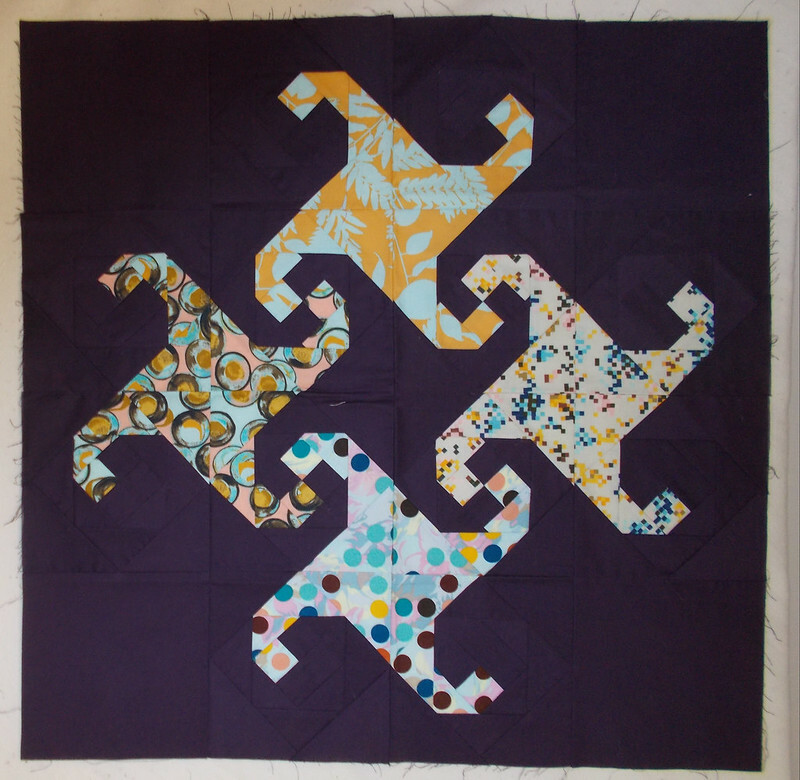 When I made an I Spy quilt for my first great-nephew I was delighted to get all the hexis and half-hexis from my stash and not a one was repeated. Don’t know why that was so much fun for me. I vote that you finish the plus size quilt first and get it on your bed. I know you will enjoy that one. Love your Christmas Cactus and oh be still my heart with those Honey Bun Diamonds. 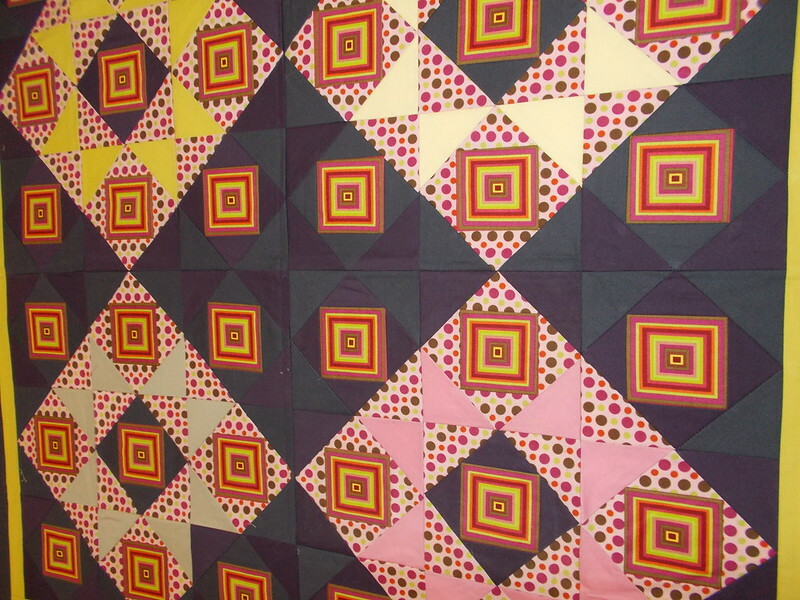 I like your Eye Spy too…it is soooo much simpler and the motifs are bigger than those hexi’s I used decades ago. Just think, one finish at a time…you’ll have many of these done by the years end.